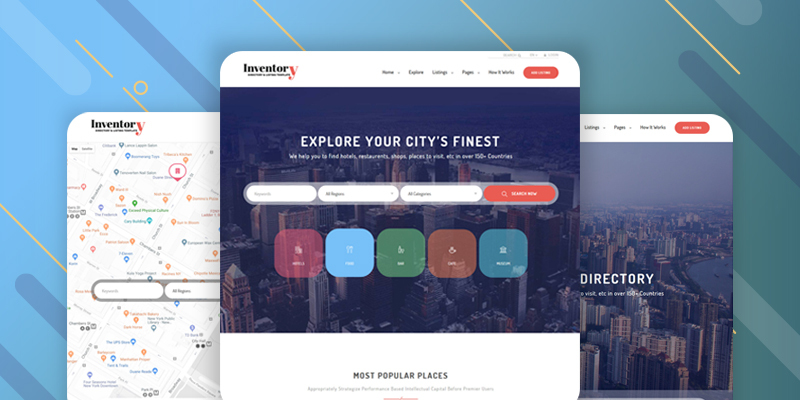 Inventory is a modern and easy WordPress theme to create Directory listing websites. Inventory comes with lot of customization options that allow you modify the pages without touching the files and code. Inventory provides Frontend listing submission option. The theme comes with the option of contact form to allow users to contact you. We provide 8 types of Map variations. Select the best one for your Website. We believe Map is a most important part for a Directory Listing Website. We’ve tried our best to provide as much variations for you. The custom post type will help you to add Portfolio, Team members, Pricing Table, Testimonial. Good and beautiful theme. You can work perfectly and adapt it to your necessities. The support was perfect, the theme owner was helped us with all our doubts and issues, and he solved everything quickly.